Evinrude 2004 Product Information Guide. If there is a need to buy a reliable, economical and powerful outboard motor, Evinrude power units will be the optimal solution to this problem. They have compact dimensions, easily transported and mounted on the stern of the boat. 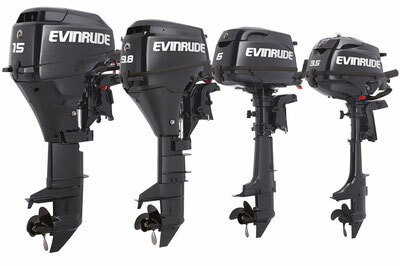 Evinrude outboard engines are lightweight and feature quiet operation. Due to the presence of the E-Tec direct injection system, boat engines are highly economical, since the fuel is supplied directly to the combustion chamber, where it is layer-by-layer burning. Manufacturers have equipped outboard motors with a quality control system, which is designed to protect against overheating and control over the oil level. A distinctive feature of Evinrude engines is the ability to start them regardless of the level of charge of the self-contained power source and the ambient temperature. All motors are equipped with high-performance dual electric generators, providing energy to the operation of the injection system and control electronics. The piston system of the power plant is made of wear-resistant alloy, which provides a high lifespan of boat motors. minimum emission of exhaust gases and harmful substances into the atmosphere. To cover the Evinrude outboard motors, paint Deep Guard is used. In addition to its attractive appearance, it provides protection against corrosion. The lubricating system with directional injection protects the working cylinders for a long time, which ensures reliable operation of the power plant. Evinrude outboard motors will not leave anyone indifferent because they have impeccable build quality, reliability and incomparable power.